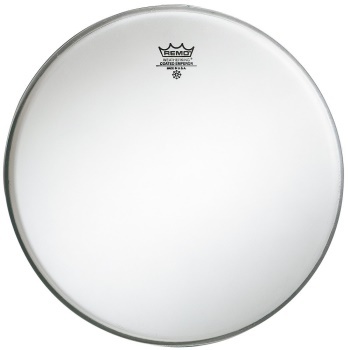 Options: 10" 12" 13" 16"
Coated Emperor drumheads have been among the most popular choices for decades. These heads are made with two free-floating plies of 7-mil Mylar, giving them bright attack, solidbody, and epic durability. If you want heads that can take a pounding and still sound great, long after typical heads wear out, then Remo Coated Emperors are the batter heads you want.